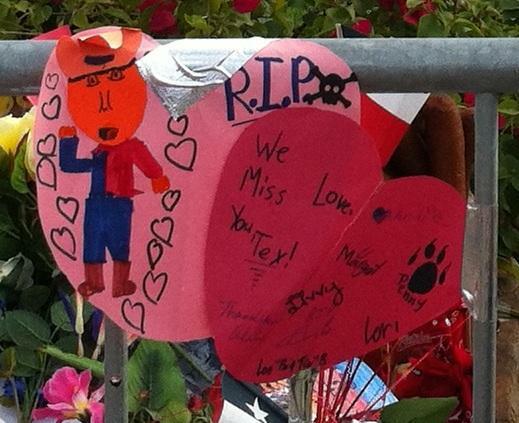 Bill Bragg was the voice of Big Tex for 11 years. The longest running voice of the 52 ft tall cowboy was Jim Lowe, with 40 years of 'Howdy Folks'. 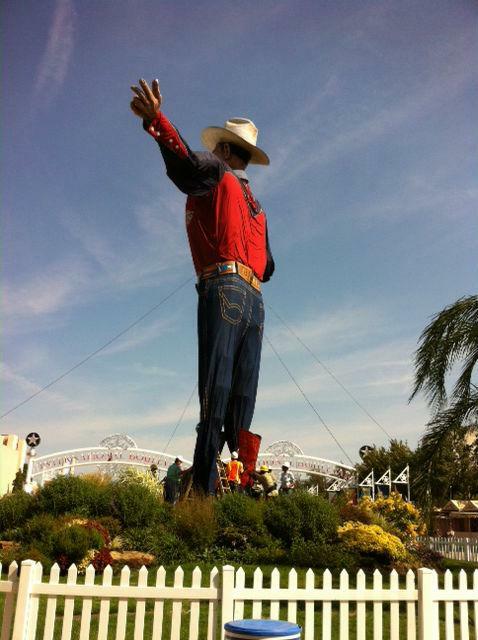 Big Tex has had seven voices over his 60 year reign at the State Fair. Big Tex is undergoing a reconstruction after catching fire the last year. The Fair’s Sue Gooding says the contract with Bill Bragg, the voice of Big Texas for 11 years, will not be renewed. “We do offer a talent contract and that contract requires that both parties agree to the terms of the contract, and that wasn’t possible this year,” Gooding said. Gooding declined to explain, but said it’s important to protect the Fair’s brand. Bragg says he’s shocked, and tells the Dallas Morning News he probably ruffled feathers with a charity appearance at which he was introduced as the voice of Big Tex. Gooding says there will not be auditions to be the next Big Tex voice, but she will listen to emailed submissions.